Northwestern University in Qatar has released new findings from an eight-nation survey indicating many people in the Arab world do not feel safe expressing political opinions online despite sweeping changes in the aftermath of the Arab Spring. From over 10,000 people surveyed in Lebanon, Tunisia, Egypt, Saudi Arabia, Bahrain, Qatar, Jordan and the UAE, 44% expressed some doubt as to whether people should be free to criticise governments or powerful institutions online. Over a third of Internet users surveyed said they worry about governments checking what they do online. The study – titled ‘Media Use in the Middle East – An Eight-Nation Survey’ – was undertaken by researchers at NU-Q to better understand how people in the region use the Internet and other media. It comes as the university moves towards a more formalised research agenda and is the first in what will be a series of reports relating to Internet use. The survey includes a specific chapter on Qatar, the only country where those surveyed regarded the Internet as a more important source of news than television. “We took an especially close look at media use in the State of Qatar – a country with one of the highest Internet penetration rates in the Arab world—and internationally,” said NU-Q dean and CEO Everette Dennis. These findings follow a preliminary report NU-Q released last April that showed web users in the Middle East support the freedom to express opinions online, but they also believe the Internet should be more tightly regulated. “While this may seem a puzzling paradox, it has not been uncommon for people the world over to support freedom in the abstract but less so in practice,” Dennis explained. Among other findings, the research shows: 45% of people think public officials will care more about what they think and 48% believe they can have more influence by using the Internet. Respondents were far more likely to agree (61%) than disagree (14%) that the quality of news reporting in the Arab world has improved in the past two years, however less than half think overall that the news sources in their countries are credible. Online transactions are rare in the Middle East, with only 35% purchasing items online and only 16% investing online. The complete set of results from the survey is available online at menamediasurvey.northwestern.edu. The new interactive pages hosting the survey on the website have features that allow users to make comparisons between different countries, as well as between different demographics within each country. Dennis confirmed that the research report is the first in an annual series of reports produced in collaboration with the World Internet Project; one of the world’s most extensive studies on the Internet, in which NU-Q is a participating institution. NU-Q and WIP signed an agreement earlier in the year, providing a global platform for the current research. LLOOOLLLLL! Great story, thanks John Mueller! Little cross cultural problem going on . . . no license? 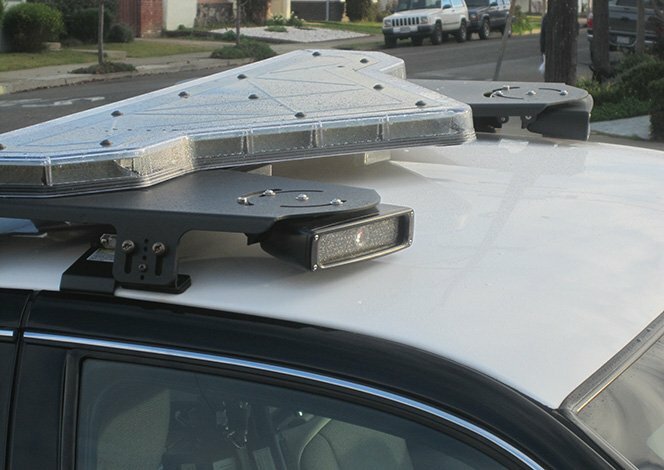 No registration? No problem, you know my uncle, right, the Amir of Qatar . . . LOL! 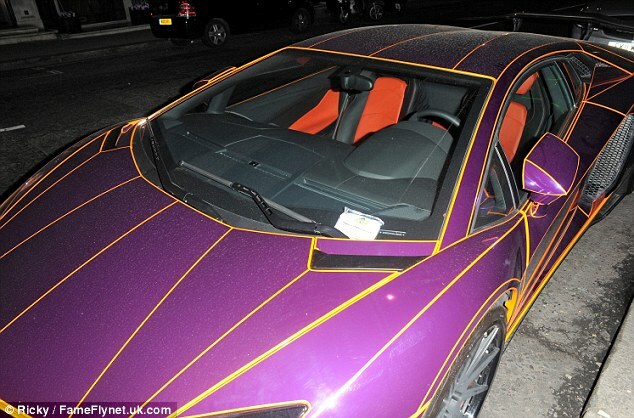 It’s hard not to notice a bright purple Lamborghini with orange trim. So the driver of this £350,000 supercar was asking for trouble when he went for a spin without a front numberplate. Police spotted the infringement and impounded the vehicle after its 24-year-old owner – thought to be a member of the Qatari royal family – was unable to produce evidence that he had a driving licence or insurance. Crowds gathered as the 220mph Aventador was towed away in London’s Knightsbridge. Arab playboys descend on the wealthy neighbourhood each summer in costly cars flown from home and often hit trouble for lacking the correct papers. The mean machines are a draw for petrolheads but the roaring engines annoy residents. Dozens of onlookers gathered to photograph the scissor-doored supercar, which has been customised by a Japanese tuning company. One fan said: ‘It is great when the wealthy foreign tourists come over to London every summer as you always see these amazing supercars. ‘The Lamborghini looked like something out of Tron, it was absolutely stunning. He was only a hair’s breadth away from seeing his beloved £350,000 supercar crushed to a pulp after it was seized by police for driving offences. 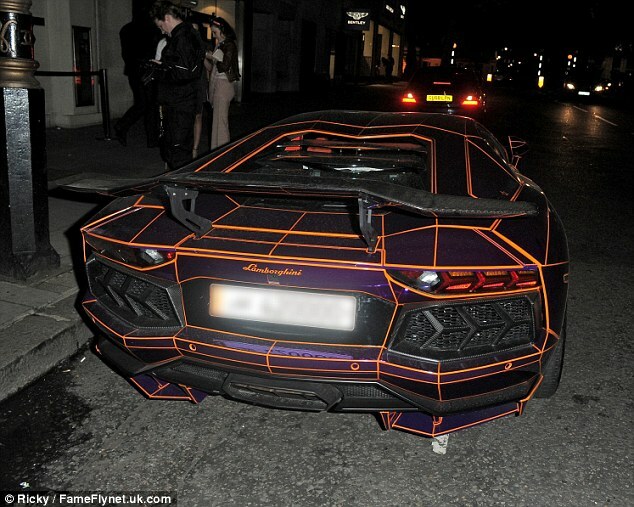 So you might think the owner of this glow-in-the-dark Lamborghini would be a bit more careful next time. But within hours of retrieving his purple sports car from the Metropolitan Police, he found himself on the wrong side of the law again after being slapped with a parking ticket. I do admit I admire the creativity of the people who send these out. This one isn’t at all creative, very straight forward, but neither is there a hook, unless, oh yeah, free money. Do the words “too-good-go-be-true” ring a bell? Content: Weak. Bank of France – in what country? Why transfer out these funds? Why did you choose me? Rushing from one meeting to another yesterday, I had just an hour – but during that hour, Terry Gross was interviewing one of my favorite authors, Chimamanda Ngozi Adichie, and Chimamanda Ngozi Adichie does GREAT interviews. She is funny, and educated and insightful; she can talk about painful topics and make you laugh and cry with her. That interview was a blessing on my day. God is good. He laughed when I said “yes” and through the book club, introduced me to authors I might never otherwise read. The club was made up of many nationalities, and we read books from everywhere, unforgettable books. We read Chimamanda Ngozi Adichie “Half of a Yellow Sun.” Once you read Chimamanda Ngozi Adichie, there is no going back. 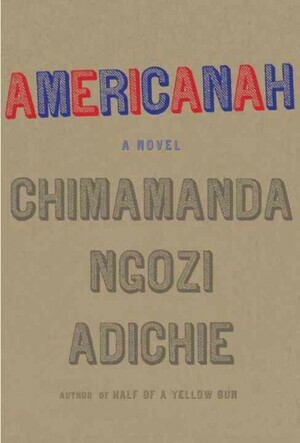 I wonder if I will be able to hold out on Americanah until it comes out in paperback? This is from the National Public Radio website, so you can actually listen to the interview yourself, should you want to get to know this delightful author a little better. ‘Americanah’ Author Explains ‘Learning’ To Be Black In The U.S. When the novelist Chimamanda Ngozi Adichie was growing up in Nigeria she was not used to being identified by the color of her skin. That changed when she arrived in the United States for college. As a black African in America, Adichie was suddenly confronted with what it meant to be a person of color in the United States. Race as an idea became something that she had to navigate and learn. The learning process took some time and was episodic. Adichie recalls, for example, an undergraduate class in which the subject of watermelon came up. A student had said something about watermelon to an African-American classmate, who was offended by the comment. “I remember sitting there thinking, ‘But what’s so bad about watermelons? Because I quite like watermelons,’ ” Adichie tells Fresh Air‘s Terry Gross. She felt that her African-American classmate was annoyed with her because Adichie didn’t share her anger — but she didn’t have the context to understand why. The history of the trans-Atlantic slave trade was not taught to students in Nigeria. Adichie had yet to learn fully about the history of slavery — and its continuing reverberations — in the U.S.
Adichie is a MacArthur Fellowship winner and author of the novels Purple Hibiscusand Half of A Yellow Sun. Her new novel, Americanah, explores this question of what it means to be black in the U.S., and tells the story of a young Nigerian couple, one of whom leaves for England and the other of whom leaves for America. The title, she says, is a Nigerian word for those who have been to the U.S. and return with American affectations. I love this article – protecting the essential nature of French cooking by requiring a home-made label on food actually prepared in the restaurant, so people will know that if it doesn’t say home-made, it isn’t. We were shocked, one year, to discover that the ravioli we loved at a little Italian restaurant in Germany came from big huge bags of frozen ravioli . . . . and although it was not a conscious decision, we never ate there again. In another Italian restaurant in Germany, in Landstuhl, I still remember the surprise of Pumpkin Ravioli, so savory, so delicious, such a delightful eye-opener! And of course, home made. French MPs have approved a bill forcing restaurants to label as “home-made” dishes which were prepared from raw ingredients in their kitchen. The “fait maison” label on menus is aimed at curbing the practice of buying in pre-cooked meals from outside, microwaving them and passing them off as freshly made. 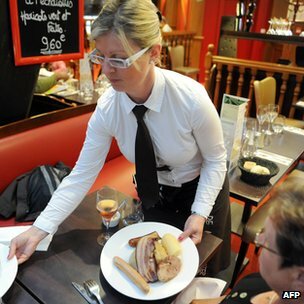 Restaurants marking dishes as “fait maison” fraudulently will be fined. The Senate (upper house) still has to back the bill for it to become law. MPs from both the ruling Socialist Party and opposition centre-right UMP called for the measure to be obligatory, overruling Business and Tourism Minister Sylvia Pinel, who did not want it to go that far. “We’re making things more transparent and restoring our trade’s respectability,” said Didier Chenet, head of restaurant federation Synhorcat. “Clients will know what to expect. The problem right now is that you push the door of a restaurant and you don’t know if there’s actually a chef in the kitchen,” he told Reuters news agency. 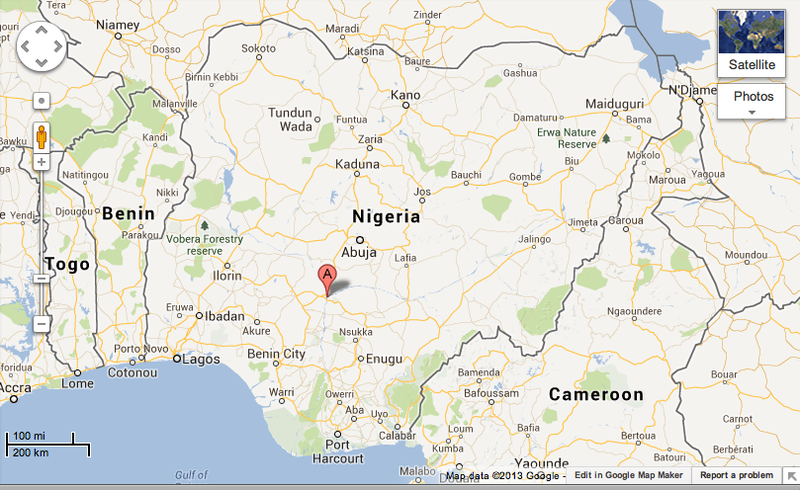 Today the church prays for the diocese of Lokoja, Nigeria. Don’t you just love technology? You can go right to Google Maps and within seconds, you know where Lokoja is, right on the banks of the Niger river, bisecting Nigeria. 6000 Expats Deported From Kuwait Via Kuwait Air?
. . . Only 5 deportees allowed per Kuwait Air flight, deportees only allowed on Kuwait Air, so it takes 1200 flights just to export the deportees they have already lined up crowding the jails? Or is this 6000 already deported? Is it orderly? Do people know why they are being deported? Do they have time to make arrangements for family and/or pets? Is there an appeal process? Are the courts also clogged? Are only illegals being deported? Has anyone seen a breakdown of deportees by nationality? KUWAIT: Nearly 6,000 people were deported over the past six months of crackdowns on illegal residents in Kuwait, a local daily reported yesterday, quoting Interior Ministry statistics as of June 23. According to a source, who agreed to provide the statistics to Al-Qabas on the condition of not being named in the report, as many as 25,000 expatriates were arrested during security campaigns carried out since the beginning of the year across Kuwait. The source said around 15,000 people were later released after their employers submitted documents to prove that the workers were living legally in Kuwait. In other cases, workers whose visas had recently expired were released after their employers gave assurances to renew their visas immediately. The source also revealed that some employers were required to sign undertakings that they would not to allow their employees to work in other firms before the workers were officially released. The source indicated that nearly a thousand employers were blacklisted for allowing domestic workers to work for others. Furthermore, he said cooperation with the Ministry of Social Affairs resulted in the blacklisting of nearly 500 companies found guilty of visa trafficking. The source also indicated that Kuwait Airways is currently the only airline used to transport deportees. A maximum of five deportees per flight are allowed, he added, in order to avoid trouble inside the airplane. Minister of Social Affairs and Labor Thekra Al- Rashidi had announced in March the government’s intention to deport 100,000 foreigners this year, as part of a plan to reduce the expatriate population in Kuwait by one million within a decade. The Interior Ministry never confirmed that the ongoing crackdowns on illegal residents were part of the deportation plan. In response to criticism from rights groups inside and outside Kuwait, Al-Rashidi later identified “marginal labor forces” as the target of the plan. Kuwait is home to 2.6 million expatriates, who make up 68 percent of the country’s 3.8 million population. Nearly 90,000 of them live illegally in the country, according to official numbers. Saudi Arabia’s King Abdullah has issued a royal decree to change the country’s weekend to Friday-Saturday, effective June 29, state news agency SPA reports. The move, which puts KSA in line with the rest of the GCC countries, was made “for the sake of putting an end to the negative effects and the lost economic opportunities” due to the difference in workdays between the nation and the rest of the world, Riyadh Bureau reports. It will apply to all government bodies and monetary agencies, including the central bank and stock exchange, SPA said. But schools and educational institutions will maintain the Thursday-Friday weekend until the beginning of the new academic year. The change will align banking and business days with most other countries in the region, as well as being closer to the workweek of international financial markets and businesses. Oman was the latest GCC country to shift its weekend to a Friday start last May. KSA, Qatar’s giant neighbor the west, has been mulling a shift for more than five years, but didn’t move forward previously due to resistance from religious leaders.